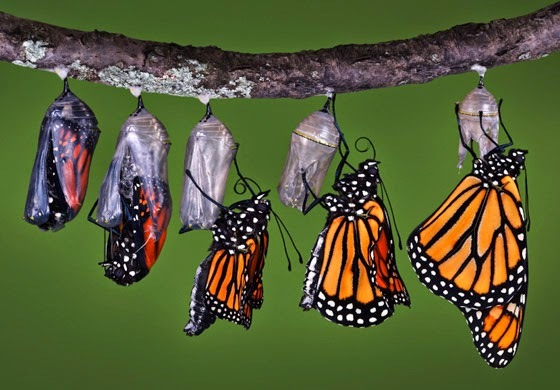 Coming Out of the Cocoon Towards Personal Transformation. Before I share insights with others, I have to put myself through the experience. Recently I heard many talking about 'Mercury retrograde' and how this is affecting their lives negatively. As I don’t perceive these situations as my problem, but as collective matter, for the last few weeks I have pushed myself to the limit in order to experience past shadows, so as to understand the general feeling and come out again to where I was with new answers. When we hear the expression “history repeats itself”, we tend to focus the attention on historical events recorded in books, the collective memory, but hardly ever draw attention to our own story, and the cycle of our life. During the past few months I heard from almost everyone requesting my assistance in order to find a new direction in life that they are at crossroads. Next time you feel at crossroads, do consider the patterns that led you there and how often this stage have been repeated previously. You will then see that this is not new. The crossroad will keep appearing and leading us to the same place, only that with the image of a different scenario. And it will always be the same situation until we break free from this cycle. To see the cycle of your life, imagine yourself in an imaginary map in which you are the centre. Look around and see what is affecting you, what’s stopping you from getting what you want. Grab a piece of paper and pen, write your name in the middle. Look at your name for a few minutes. This is you, surrounded by nothing, but a blank space. There are infinite possibilities around you. This space could be filled with absolutely anything you can imagine. Yes, you have this freedom right here, right now and the ability to create a world of love, abundance and magic around. This is how we are born, as an incredible source of possibility. As we grow up we give in to the circumstances that surround us and others, which in turn shape our egos. As children we filled this blank page with bright colours and smiley people, but as we get older, we surround ourselves with shadows. In both cases, our reality is filled with the unreal, which reality we choose to live is always a choice. Now you can begin to write your circumstances around your name forming a circle. In order to see the obstacles which stop your happiness, self-transformation and a healthy life, you can begin to write in a circle around your name what is affecting you at this moment in life. What is it? Depression, lack of money, loneliness? Have you been single for too long and you don’t seem to find love? Create the circle, but don’t close it. So far, what you have done is to close this circle and see no way out. Leave a gap in the circle, a blank space for other things to come in or for you to come out. The circumstances that surround you are now forming a cocoon. See how long each obstacle has been going on in your life. Has it been months, years? Draw expansive waves outwards to see how long this has been going for. At this point you might see yourself surrounded by a circle of impossibility, but you will also see that there is a way out of it. Know that you are not alone. This is a collective phenomena, and as the energy fluctuates there are periods in which everyone seems to be going through the same low mood. Whether your problem is an unhealthy relationship with food or a so-called mental health issue, you are most likely focusing all your attention on these concerns. The energy invested in fighting these reality keeps growing, it adds pressure, forms beliefs of impossibility and puts you under an extraordinary strain. The truth is that you have created this reality, with the help of circumstances and the beliefs of others until you made them yours. Yes, it might be a life filled with shadows. The first step to change this dynamic is to accept it. Stop fighting it. This is who you are right now. However, this is not real. Feel all your fears. The more you feel, the less impact fear will have in your life. Outside the circle and close to the gap, write down all those things you would like to have and believe impossible right now. They are outside the circle. Give your energy to attract a more pleasant picture. Do you want to travel, change jobs, start your own business, write or create art. Use your imagination and believe that it is possible. If you want any of this, begin to plan your journey, write or paint instead of thinking of doing it and dedicate as much time as possible to what you wish. This is not to ignore practicalities like paying bills or rent, but to ignore abstracts such as depression, loneliness, etc. For life you have felt all these problems coming and going. There are periods in which you vitality is high, but the low periods return. These low periods will keep reappearing for as long as you keep fighting. Allow it instead. Go through the emotions while giving your energy to the things you want. Remember, it is not real. Imagine that what surrounds you is a cocoon that keeps you in darkness. To break through and out of it, you have to focus your energy on the part of the cocoon that is lighter and has not yet been contaminated by the voices of collective consciousness, that voice that keeps telling you that everything is impossible. No change will happen until you move in a different direction. 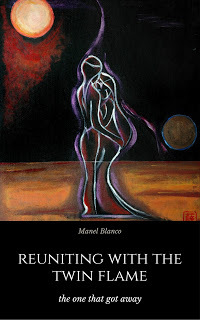 It’s your choice to return to the same crossroad within your reality of isolation or to take the highway towards light. And, don’t forget that almost everyone is in a crossroad of their own. Be kind to yourself and to others. Ask for help and help will come to you. The universe is listening to what you talk about. What is it that you are thinking and speaking of?